I/O Ports - 2 x USB 3.0, 2 x USB 2.0 ports on front panel giving the user easy access. 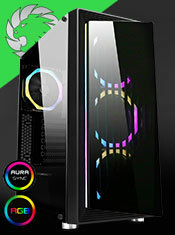 Cooling - Black chassis with 80mm rear cooling fan included. 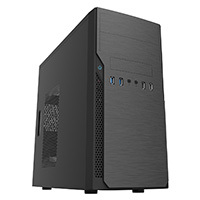 Chassis - Micro ATX Chassis with a simple design. 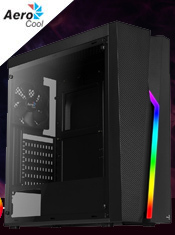 Side Panel - Intel Approved TAC2.0 thermal chassis. Interior - Black coated interior.